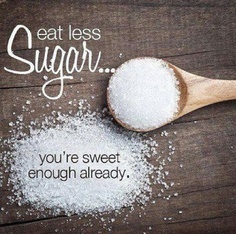 Sugar, why give it up? The first blog entry is difficult. I have spent an hour procrastinating over whether it is worth doing – and it isn’t made any easier that the blog is based on such a controversial topic: the “sweet poison” that is sugar. I want to be realistic. We live in a busy world, I don’t expect people to spend hours sweating over a stove or foraging for exotic ingredients in the AmazonBasin. I want to make practical suggestions that will be useful to you. I want this blog to show you why leading a lifestyle without sugar can be beneficial, not only for those diety or sciency reasons, but for your mental attitude as well. We’ll get round to this, there is plenty of time… Instead here’s a bit of background on me, as you may be thinking ‘why put yourself through this torture?!’. Well, I’ve always been interested in nutrition; I grew up immersed in ballet, and chubby doesn’t look good in a tutu (I personally have nothing against it, it’s the Russian look). Not blessed with skinny genes, I worked at my “ballet bod” from a young age, and being a natural geek my instinct was to read around the subject of keeping under that magical twenty-five on the Body Mass Index. Through years of exploring various ‘diets’, which primarily comprised of the same governing factors, yet required goddess-like willpower, I came to quite a revelation. All the ‘diets’ which worked had one thing in common – cut the sugar. Admittedly this was often through cutting out whole food groups, primarily carbohydrates, which I personally see as unrealistic (#thereismoretolife). I found normal diets unsustainable, you can’t incorporate a diet into a busy lifestyle, you are left a. )irritable, cranky and hungry and b. )without a social life (who wants to go out with friends and eat a green salad #nodressing, with a glass of tap water?!). Not only that but you usually regain those ‘lost’ pounds after you finish the regime, ending up back at square one feeling depressed with your failure and annoyed at your muffin top. But that is the wonderful diet industry; failing is customer retention as you will simply go back for more… what a gold mine. Anyway back to me (#selfindulgence). I have also always found it difficult to control my appetite, willpower aside, I would never feel satisfied without eating a horse. I would get energy swings, headaches and a hangover feeling after eating too many ‘treats’ (not to mention the bloaty body and face). Around 6 months ago I came across an article on the evils of sugar, and read all of my symptoms in its effects. Having already had my ‘eureka’ diet moment, and with a little (a lot) more research I decided to go cold turkey from sugar for a month. Since then I have not looked back – it has changed my view on what food can do to your body, and without sounding too preachy, it just makes you feel better. I am still sugar-free, but I did find that I missed cake, and that made me fall off the bandwagon quite a few times- I just love it. Hence why I started this blog. We all need to live a little, otherwise we don’t stick to things (i.e. healthy eating), therefore I want to provide you readers with a little information and plenty of fun recipes to still allow you to enjoy life sans sucre. That’s it in a nutshell, I hope you learn a bit and have some wholesome fun.